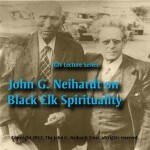 John Neihardt (1881-1973) poet, writer and critic, taught English at the University of Missouri from 1949 to 1965. 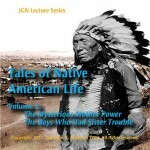 He is the author of numerous works including “Black Elk Speaks” and “Eagle Voice Remembers”. 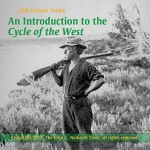 His most popular course was titled “Epic America” and was a series of lectures on his epic poetic work, “A Cycle of the West”. 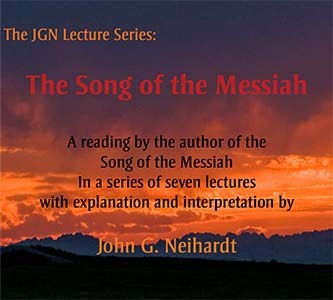 This lecture series titled “The Song of the Messiah” is part of that series. “The Song of the Messiah” deals with the ghost dance movement of the Native Americans in the late 1800s. The series is 7 lectures. Each lecture, designed to fit a college schedule is approximately 45 to 50 minutes in length. In the early 1960′s in anticipation of his retirement from teaching, the University of Missouri video-taped his entire Epic America course. For decades after he retired, this course was still offered and a waiting list to view the course was commonplace. 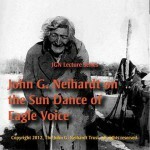 The John G. Neihardt Trust owns the rights to the video series and I have taken on the task of re-editing the 50 plus year old film and re-producing the entire series of 30 one hour lectures. Our goal is to not only digitally preserve the course, but re-edit the film with new color pictures and titles and then offer the course to the public. The first of the series completed and ready for sale is titled: The Song of the Messiah which deals with the “Ghost Dance” religion that spread among the Plains Indian Nations during the late 1800′s. This portion of the course is a series of 7 lecture/readings.